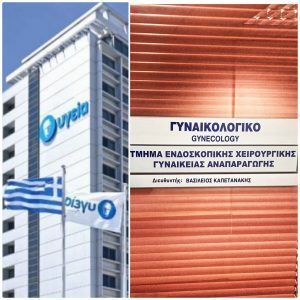 We are pleased to announce the establishment in one of the largest therapeutic centers in Greece, Hygeia Health group of the specialized Center for Advanced Endoscopic Surgery (Laparoscopic, Robotic and Hysteroscopic), under the direction of Dr. Vasilios Kapetanakis. The Advanced Endoscopic Reproductive Surgery Program at Hygeia Hospital allows for the minimally invasive surgical management of various conditions, including endometriosis, pelvic pain, ovarian cysts, fibroids, pelvic or intrauterine adhesions, blocked Fallopian tubes, abnormal uterine bleeding, and developmental anomalies of the reproductive tract. The goal of the program is to improve or maintain reproductive potential for those who desire it and to provide non- fertility sparing options to those who are done with child-bearing. A unique feature of this program is the continuity of care of patients since the surgeons are reproductive endocrinologists, who can provide ongoing treatment of conditions, such as infertility, endometriosis, and PCOS after the surgical intervention.